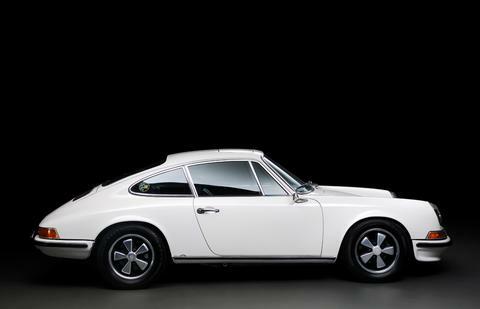 Porsche 911 2.2 E Coupe, 5-speed, Silver Metallic, black leatherette seats, chassis number: 9111201008. Left hand drive, 14'' Fuchs wheels, Panasonic radio, matching numbers, Porsche certificate of authenticity, professional restoration. We take great care in sourcing the finest Porsche it is possible to acquire. Each example is fully serviced and meticulously prepared prior to sale to the exceptional standard that should be expected from one of the longest established, reputable independent Porsche Specialists. We include a new MOT and our comprehensive 12 month / 12,000 mile parts and labour warranty as standard.